Greetings from the IPSI Secretariat in Tokyo, Japan. IPSI and its members continue to stay active in a wide variety of projects and activities related to maintaining and revitalizing socio-ecological production landscapes and seascapes (SEPLS). This is a bittersweet time for us at the Secretariat, as we say good-bye and good luck to longtime staff member Dr. Kaoru Ichikawa, who moved to a new position as of the beginning of this month. We hope all readers will join us in wishing Kaoru all the best in the future. 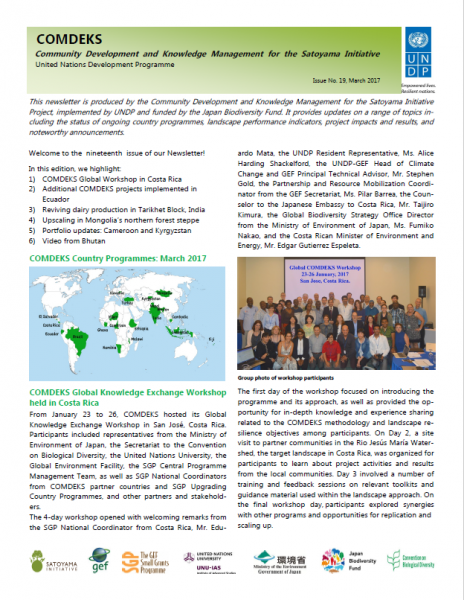 This month’s newsletter contains information about a number of new publications: a UNU-IAS Policy Brief related to the most recent volume of the “Satoyama Initiative Thematic Review”; and newsletters from the COMDEKS Project and the GEF-Satoyama Project. We are also pleased to share information about an internship opportunity and calls for proposals for grants in the Indo-Burma Biodiversity Hotspot, and to introduce one of IPSI’s newest members, Ny Taninstika based in Madagascar. A new Policy Brief from the United Nations University Institute for the Advanced Study of Sustainability (UNU-IAS), host of the IPSI Secretariat, provides guidance for policymakers seeking solutions to safeguard landscapes that are tied to human livelihoods related to SEPLS. 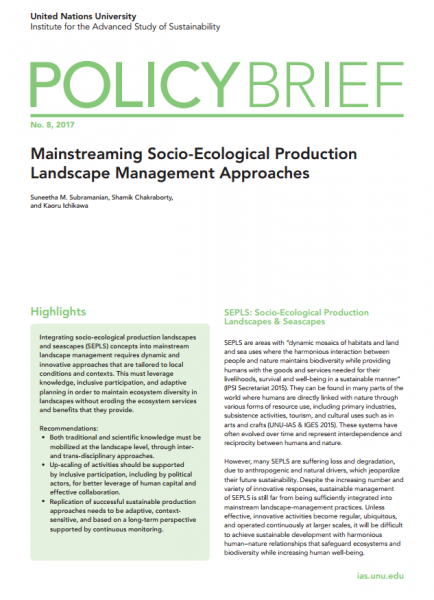 The brief, Mainstreaming Socio-Ecological Production Landscape Management Approaches, is written by UNU-IAS researchers Suneetha M. Subramanian, Shamik Chakraborty, and Kaoru Ichikawa. It investigates how sustainable landscape-management techniques can be better integrated into common practice, and provides a series of recommendations for related policy and decision-making processes. This brief was produced in conjunction with Volume 2 of the “Satoyama Initiative Thematic Review“, which collects a number of IPSI case studies under a theme along with a synthesis and analysis chapter. All IPSI-related people are highly encouraged to have a look at the volume, which provides a great deal of insight on SEPLS management practices and concepts. 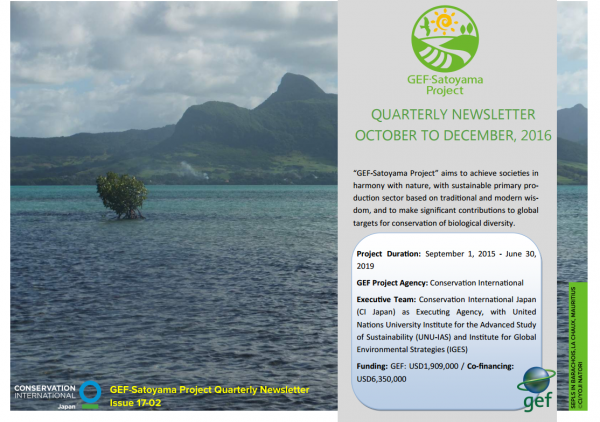 The GEF-Satoyama Project recently produced its second quarterly newsletter, including updates on recent workshops and training sessions organized by the project, and progress in implementation by partners in the field. IPSI member Tse-Xin Organic Agriculture Foundation in Chinese Taipei recently contacted the IPSI Secretariat with an invitation to participate in a Global Internship Program, and we are pleased to pass this on to our readers. According to the information, the program provides opportunities for professionals from Tse-Xin Organic Agriculture Foundation (TOAF) to contribute their services on a short-term basis to international non-governmental organizations. Those selected for the program will help non-governmental organizations abroad strengthen their efforts to advance their mission while learning about management and development of non-governmental organizations abroad. Tse-Xin Organic Agriculture Foundation (TOAF) is a non-profit organization committed to promoting a healthy environment and human well-being through the principles of organic agriculture in partnership with governments, businesses, communities, and individuals. The objective is to promote sustainable global development both domestically and abroad, in partnership with international non-governmental organizations. A typical placement is two months and must conclude by November 30, 2017. The program includes a modest stipend to cover essential expenses. Host organizations are not responsible for compensation but if available will aid interns with living costs. IPSI member the Critical Ecosystems Partnership Fund (CEPF) is currently soliciting letters of inquiry (LoI) from non-government organizations, community groups, private companies and other civil society organizations, for large and small grants in several countries in the Indo-Burma Biodiversity Hotspot. IPSI members in this region are encouraged to consider applying for these grants if they are relevant. Please see the calls for proposals on the CEPF website here. Founded in 2002, Ny Tanintsika (meaning ‘Our Land’) is a Malagasy NGO that contributes to poverty reduction and improving natural resource management through capacity-building and action for social, economic, and environmental development, and the promotion of good governance. Its vision is “A healthy population which takes its own development in hand, living in harmony with nature in a fair society”. 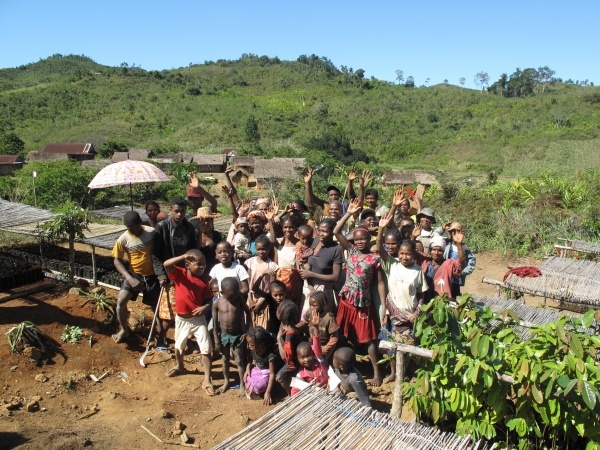 One of Ny Tanintsika’s principal objectives is to improve food security and reduce local peoples’ vulnerability to climate change, and to promote the sustainable management of different socio-ecological production landscapes in Madagascar. Priority areas targeted are the rainforest corridor ‘COFAV’ (Ambositra – Vondrozo) and the endemic tapia forest of Amoron’i Mania which is home to the Malagasy silkworm. Ny Tanintsika is working with local communities to improve livelihood practices, to increase agricultural production and to restore degraded landscape through agroforestry, and to enhance natural forest. More information can be found on Facebook, Twitter or the Ny Tanintsika website here.